Weber and Sociology research papers custom written on society today and Weber's views. 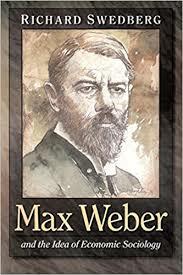 Max Weber research papers show that his contributions were immensely important to the field of sociology. In terms of the philosophy behind the scientific study of sociology, he emphasized that this field is not merely a collection of facts. Instead, we must interpret those facts that assist us in understanding the social actions of human individuals and the collective society. Thus, he emphasized the relationships that existed within social phenomenon. At the same time, he understood that no scientist could ever be an authority because absolute knowledge was unattainable. All knowledge would eventually be outdated and surpassed. His contribution with regard to our understanding of economics and work was equally important. Weber understood the power of the capitalist economy. “He rejected Marx’s idea that economic factors were the determinants of all other social relationships. … Weber tried to show how social and religious values may be the foundation of economic systems”. He often emphasized Protestantism as the basis of capitalism. This notion still persists in many textbooks and is referred to as the Protestant work ethic. Weber believed that society was interactive and humans gauged their actions with each other in light social contexts. While Weber, like Emile Durkheim, believed in the diminishment of the human in society, Weber claimed that ideas create social action and their foundation is based upon common interests. Weber’s theory of social action gives evidence to this. According to Weber “Action is social in so far as by virtue of the subjective meaning attached to it by the acting individual (or individuals), it takes account of the behaviour of others and is thereby oriented in its course”. Weber devised this analytical framework as a means of understanding past events more lucidly. His highly structured approach is based on the notion of linearity and causality, meaning that Weber asserted that one phenomenon or event could be identified as the definite cause of a subsequent phenomenon or event. Paper Masters writes custom research papers on Weber and Sociology and examine society today and Weber's views.